Benediction Next Week – Next week is the 3rd Sunday, so we will have Benediction as usual. Catholic Faith Question – Which Vatican II document invited the Freemasonic concepts of Fraternity and Secular Humanism into the Catholic Church? Last weeks’ question: How many United States priests were there in 2014 vs. 1965? Answer: Compared to 1965, there were 34.72% less priests in 2014. This entry was posted in San Antonio chapel and tagged 1962 Missal, Austin, church, churches, independent chapel, latin mass, pre-vatican 2, San Antonio, Seguin, traditional, tridentine mass, Vatican 2 Resistance on October 9, 2015 by sudoku-for-android. 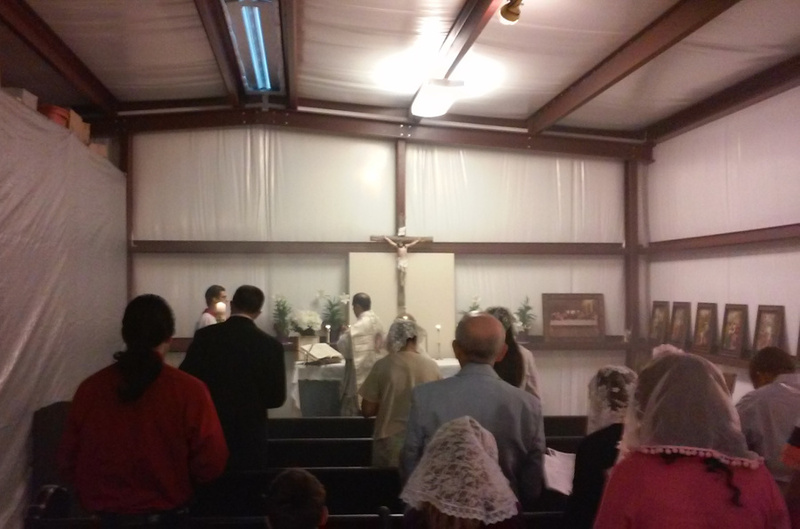 Catholics from a large radius around San Antonio, from as far away as Austin, Georgetown, Seguin, Columbus and Bandera came to St. Dominic’s Chapel on the first Sunday of October for our monthly High Mass. And, of course, Fr. Zendejas came all the way from Houston! 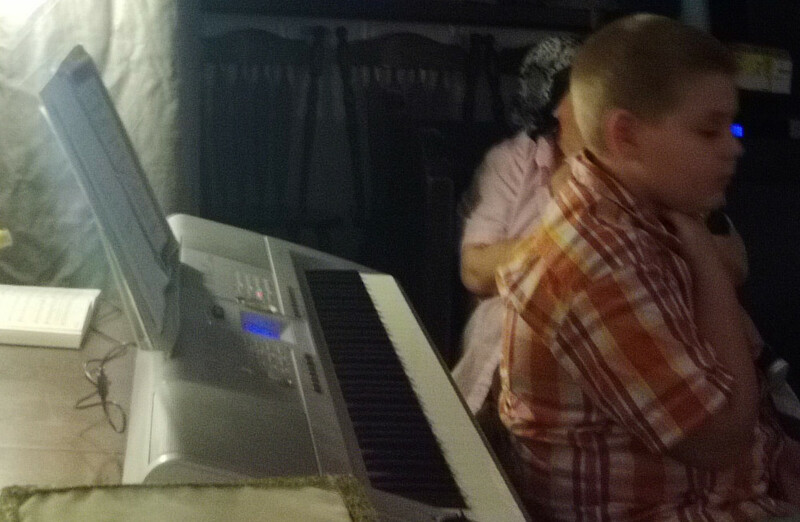 This was also a special occasion, as it was the first time our new volunteer organist, a boy just 9 years old, played organ accompaniment during Mass. See the videos below to hear how the Mass sounded! The first video clip is of Kyrie XI, Orbis Factor (Latin, “Maker of the world”). The second clip is the traditional Catholic hymn, “To Jesus Christ Our Sovereign King”. Catholics from San Antonio, Austin, and elsewhere assist at a High Mass on October 4, 2015. Our young organist waits for the High Mass to start. This entry was posted in San Antonio chapel and tagged 1962 Calendar, Austin, fr. 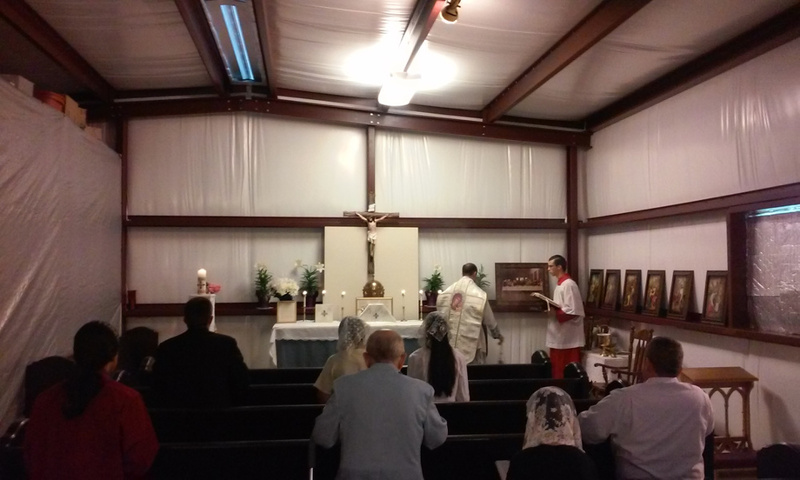 zendejas, High Mass, independent chapel, San Antonio, Seguin, Traditional Latin Mass, tridentine mass, Vatican 2 Resistance on October 7, 2015 by sudoku-for-android. Fr. Adrian Garcia will be here this week. Catechism Classes – Catechism classes have started. There are two classes available. Adults are welcome to attend the upper class, held in the chapel. The class for First Communion and younger children is held in the house. Catechism will run from 2:30 to 3:15 each Sunday. High Mass Next Week – Next week will be the 1st Sunday of the month, so we will have a High Mass. We will sing Mass XI (Orbis Factor), Credo IV, and various traditional Catholic hymns for the processional, recessional, offertory and communion. Potluck Next Week – We will have a Potluck after the High Mass next Sunday. Fr. 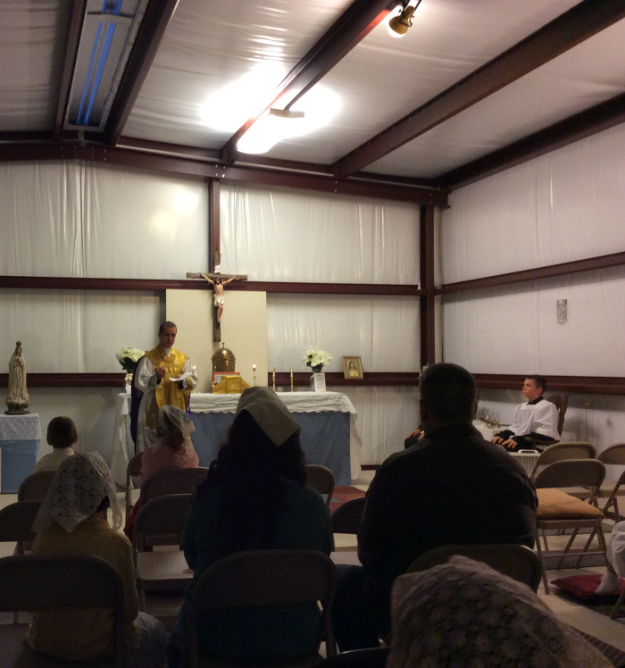 Zendejas Sermons – Fr. Zendejas’ written sermons or “Blue Papers” can be found every week on this website. Catholic Faith Question – What percent of Catholics attended Mass every week in 2014? This entry was posted in chapel, church, fr. Zendejas, san antonio, San Antonio chapel, texas and tagged 1962 Missal, Austin, blue paper, bulletin, Catechism, Catholic church, chapel, church, churches, doctrine, fr. 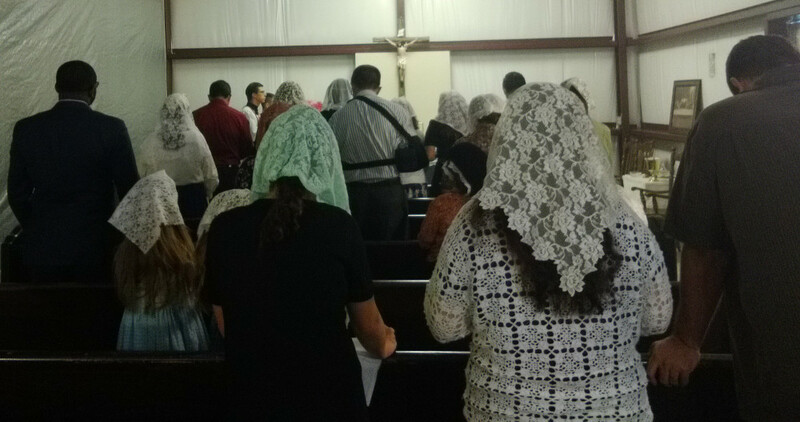 zendejas, High Mass, hymns, independent chapel, latin mass, pre-vatican 2, San Antonio, Seguin, traditional on September 26, 2015 by sudoku-for-android. Catechism Classes – We will start Catechism classes this week. There will be two classes for the children and older children/adults. Besides the usual preparation for First Communion and Confirmation, other topics will be covered including Church history, the Mass, Scripture, lives of the saints, and the recent crisis in the Church including Vatican 2. Catechism will run from 2:30 to 3:15 each Sunday. Mass Time Change – From now on, Sunday Mass time will be at 4:00 PM to allow Fr. Gerardo Zendejas and Fr. Adrian Garcia more time to travel here from Houston. This will allow people more time to get from their homes to their respective churches. The Sunday traffic near Houston — both church related and otherwise — was causing Father some delays in getting to the chapel. Benediction next week – Next week, on the 3rd Sunday of the Month, there will be Benediction of the Blessed Sacrament after Mass. On this note, we have a bit of a surprise for everyone next Sunday! This entry was posted in chapel, church, san antonio, San Antonio chapel, texas and tagged 1962 Missal, Austin, benediction, bulletin, Catholic church, chapel, church, churches, independent chapel, latin mass, San Antonio, Seguin on September 12, 2015 by sudoku-for-android.